Union County, NJ – Two peregrine falcons are watching over four new eggs in their nest, high atop the roof of the historic Union County Courthouse Tower in bustling midtown Elizabeth. Hatching occurs between 29 and 33 days after the last egg appears. The female laid her final egg on Friday, April 5. 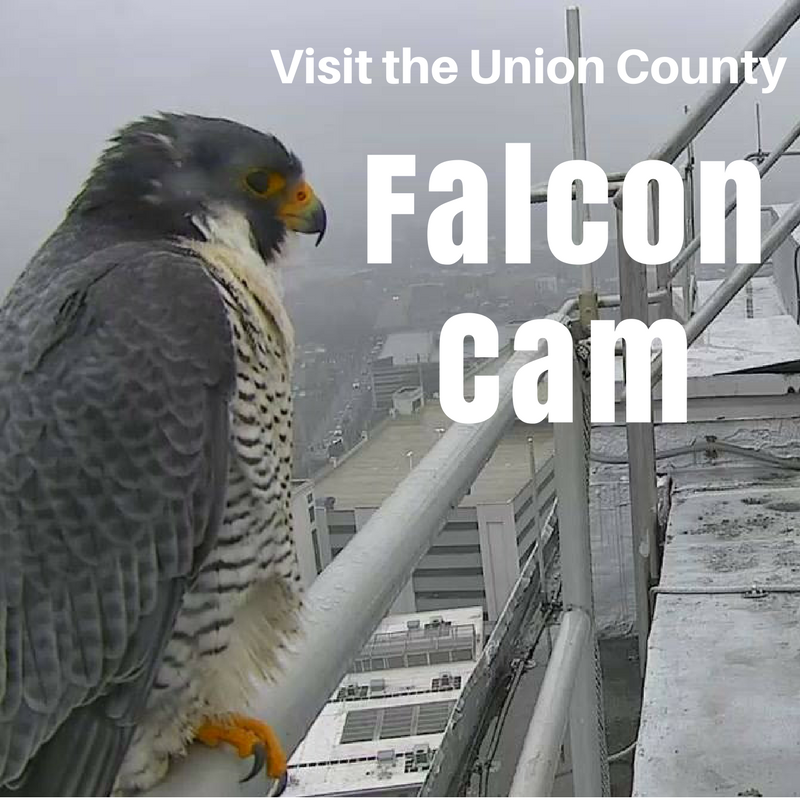 The Union County website provides a free livestream of the Falcon Cam at ucnj.org/falcon. They build their nests in cliffs, ledges, and other high points. As the tallest building in Elizabeth, the Union County Courthouse is a desirable location for a falcon nest. Union County’s falcon preservation efforts have been undertaken with the generous assistance of the New Jersey Division of Fish and Wildlife and the nonprofit organization Conserve Wildlife Foundation of New Jersey. For more details about educational programs related to the Union County Falcon Cam, and for information on corporate sponsorships, call Conserve Wildlife Foundation at 609-984-6012 or use the contact form. Quick links to all Union County environmental programs and activities are available at ucnj.org/green-connection.